The re-creation of the Soviet Vysshaya Liga was a big topic on last week’s Futbolgrad Podcast. 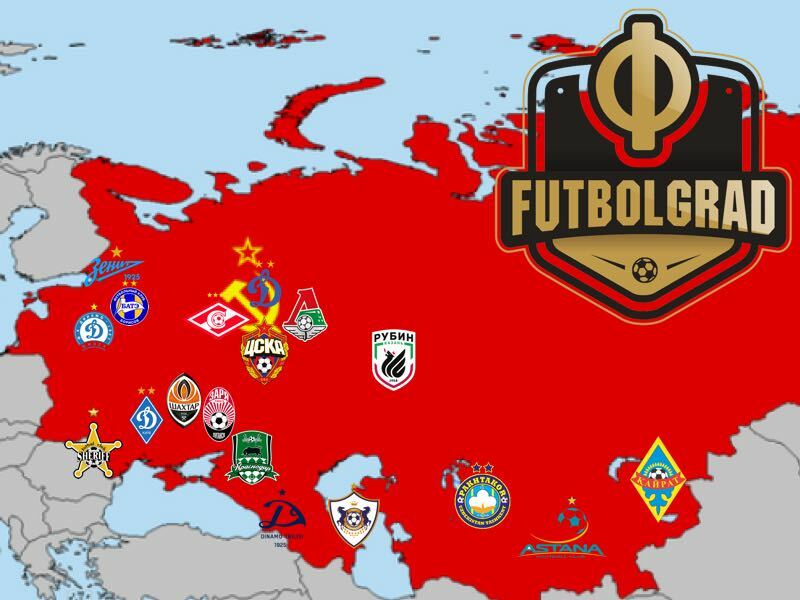 Asked by one of our listeners on which teams we would like to see a post-Soviet Futbolgrad League we came up with a list of 18 clubs from all over the Soviet Union that we would like to see in the competition. First of all, we need to point out that this is a hypothetical topic. Currently, there are too many political problems in the post-Soviet space to see teams from Ukraine, Russia, Moldova, Armenia, Azerbaijan and some of the Central Asian countries play in one competition. We see this more of an exercise of what could be and which 18 teams are the best teams from the area to take part in a post-Soviet Futbolgrad League. Furthermore, we did not select the sides for historical successes, but based on where they are at the moment. With a combined 22 national championships won in the Soviet Vysshaya Liga and later the Russian Football Premier League are one of the two most decorated teams in this competition. The ten-time Russian champion dominated Russian football in the decade following the dissolution of the Soviet Union. The influx of oligarchs and new money in Russia in the early 2000s meant that Spartak lost their dominance over the league and the club would go without a national championship from 2001 to 2017. Last year’s triumph in the RFPL and the fact that Spartak own one of the most modern stadiums in the region, however, make the Myaso a shoe-in into this competition. In the recent decade, CSKA Moscow have been the most successful club in Russia. Since 2003 CSKA have won six RFPL titles. From 2002 onwards CSKA also won seven Russian Cups and in 2005 became the first club from Russia to win a UEFA trophy when they defeated Sporting Lisbon in the UEFA Cup final. Bought by Giner in 2001 CSKA were the symbol of new money in Russian football following the ascendency of Vladimir Putin to the Russian presidency. The last two years, however, have seen the club having to operate with a tighter budget, which meant many of the top stars had to leave. At the same time, CSKA have a beautiful new stadium and they remain one of the biggest clubs in Russian football. Ultimately it was Lokomotiv Moscow that broke Spartak Moscow’s grip of dominance over the RFPL. Winning the title in 2002 and 2004 Lokomotiv Moscow have also have seven Russian Cup titles to their name. Sponsored by the Russian Railways Lokomotiv was always the weakest link of all the Moscow teams during the time of the Soviet Union. But currently, the team is well run and is on course of winning its third Russian championship as Lokomotiv are sitting eight points clear at the top of the Russian Football Premier League. Founded just eight years ago Krasnodar are the youngest club on the list. That is not to say Krasnodar was not a hotbed of football during the time of the Soviet Union. Back then it was Kuban Krasnodar that represented Southern Russian in the Vysshaya Liga. But in 2008 oligarch Sergey Galitsky founded a new club in the city to create a Russian model club, which is both self-sustainable and also known for producing their talent. Galitsky has since built a fantastic youth academy and perhaps the most beautiful stadium in Russia, which sadly will not be used to host 2018 FIFA World Cup games. Founded in 1958 Rubin Kazan never played in the Soviet Vysshaya Liga. Instead, Rubin were confined to the lower leagues where they never played above the second division. It was only after the fall of the USSR that the club came to prominence. Thanks to the development of a thriving oil, gas and aluminium industry the Republic of Tatarstan is a prosperous republic. The team, which is directly owned by the Republic, has at times benefited from the riches to be found in the territory. In possession of a beautiful stadium, Rubin’s owners have at times been erratic by consistently changing the club’s policy back and forward from big spending to saving. Either way, the club won the championship in 2008 and 2009 and made history in 2009 when they managed to beat Barcelona at the Nou Camp. Fitting for a team that is coming from the city of the Tsars Zenit Saint Petersburg are Russia’s richest club. Owned by Gazprom Zenit are the only in club capable in Russia to sign top stars from abroad. Currently coached by Roberto Mancini Zenit won the RFPL four times after Gazprom took the club over in 2005. Initially, the company invested over $100 million by buying stars and upgrading the infrastructure of the club. Nowadays Zenit play in the Krestovsky Stadium, which hosted the 2017 FIFA Confederations Cup final and is perhaps one of the most beautiful venues for the upcoming World Cup. 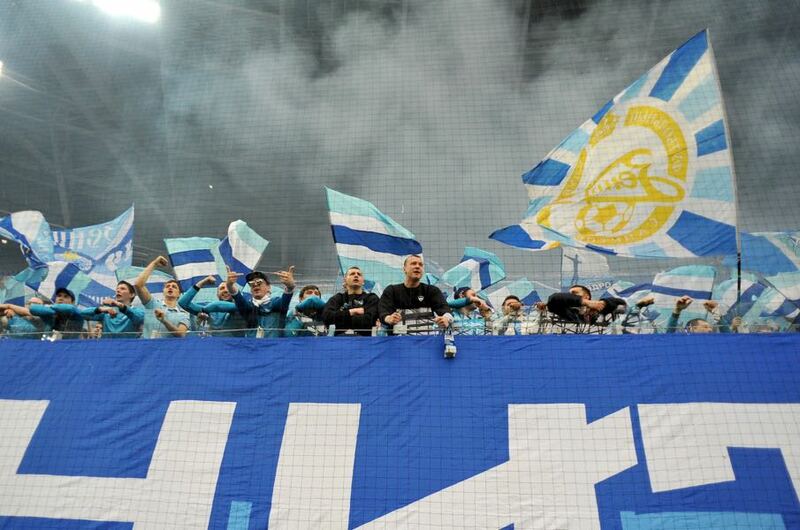 With plenty of money to spend Zenit would thrive in a post-Soviet Futbolgrad League. Until the spring of 2016, Dinamo Moscow were one of just three teams in the post-Soviet space never to be relegated—the other two are Dinamo Tbilisi and Dynamo Kyiv. A founding member of the original Soviet Vysshaya Liga the club has been on the brink of bankruptcy in recent years and has struggled to build on its rich Soviet history, which includes legendary goalkeeper Lev Yashin. Based on merit Dinamo should not be in this competition, but a post-Soviet Futbolgrad League would not be complete without one of the most historic teams in the region. The ten-time Ukrainian champion cannot be absent from any list that includes the most prominent post-Soviet clubs. Hailing from the Donbass Shakhtar are currently in exile due to the conflict between Ukraine and pro-Russian rebels. 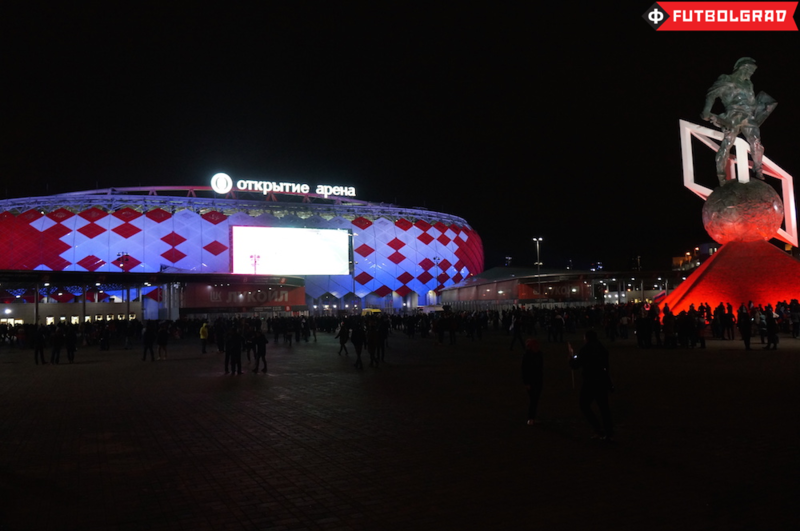 We re-created this post-Soviet Futbolgrad League on the assumption that there would be no conflict in Eastern Ukraine and that Shakhtar could play at home at the Donbass Arena, which is one of the most stunning facilities in the entire post-Soviet space. Fuelled by the deep pockets of oligarch owner Rinat Akhmetov Shakhtar would be an unstoppable force in this competition. Expect free-flowing attacking football with plenty of Brazilian flair as Shakhtar would use the money generated to once again go on a shopping tour in Brazil. 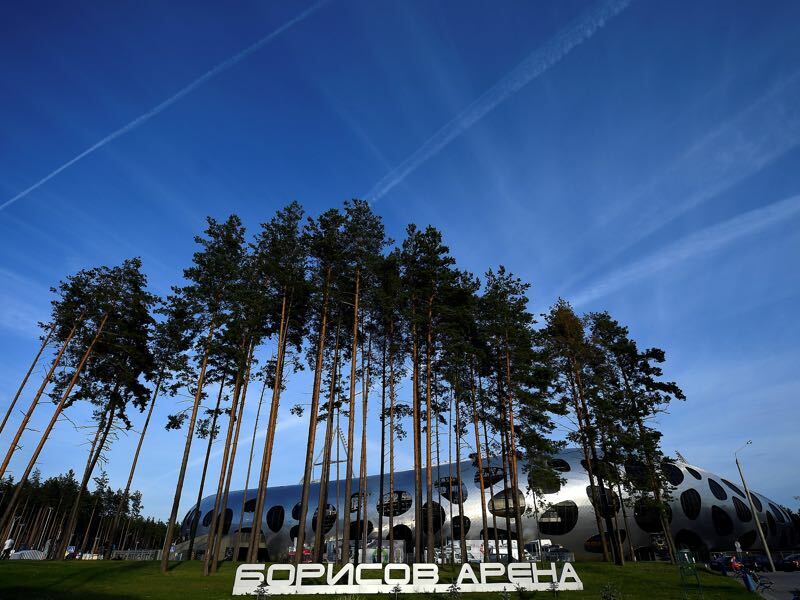 Together with Spartak Moscow Dynamo Kyiv would be the most decorated side in this league. Dynamo have won 13 Soviet Vysshaya Liga titles and an additional 15 Ukrainian Premier League titles, which would put them ahead of their Russian rivals. In fact, the return of the Spartak vs Dynamo rivalry would be reason enough to watch this post-Soviet Futbolgrad League. Hailing from Ukraine’s capital Dynamo have a big stadium and would have the majority of the country behind them. Envision a side mostly put together by local talent that would be a league challenger year in and year out. The recent bankruptcies of Dnipro FC and Metalist Kharkiv have meant that there are not many viable clubs left from Ukraine that could play in a post-Soviet Futbolgrad League. Zorya Luhansk is in many ways a logical candidate. Like Shakhtar Donetsk Zorya are currently playing in exile and would be able to return with the creation of this league. A one-time Soviet champion, the club won the Soviet Vysshaya Liga in 1972 as Soviet Voroshilovgrad. These days Zorya are very much the third power in Ukrainian football behind Shakhtar and Dynamo. BATE Borisov are the most successful club in Belarus. The club from the tiny town of Borisov has won every league title in the last 12 years—although that monopoly was almost broken this fall—and has made history by beating the likes of Bayern München in the UEFA Champions League. At home, at the beautiful BATE Arena, the club would be one of the smaller sides in the competition. Nonetheless, thanks to good scouting and youth development, BATE could give some of the big sides a run for their money. Dinamo Minsk came very close to breaking BATE’s monopoly over the Belarusian Premier League—finishing even on points BATE took the league thanks to a better head-to-head record. It would have been the first championship for Dinamo Minsk since winning the title in 2004. Traditionally the biggest club from Belarus during the time of the Soviet Union Dinamo Minsk won one Vysshaya Liga trophy in 1982. Investment into the club in recent years has meant that Dinamo has now closed the gap to BATE and being at home in Belarus’ capital means that ultimately it would be a mistake to leave this storied club out of a potential post-Soviet Futbolgrad League. Playing in the Astana Arena in the newly created capital of Kazakhstan FC Astana would another club in this league, which did not exist during the time of the Soviet Union. Founded in 2009 as Lokomotiv Astana FC Astana is owned by the massive state holding Samruk-Kazyna, which is headed by the Government of Kazakhstan and with total assets worth €78 billion. With that kind of money at their disposal, it is no surprise that Astana were the first club from Kazakhstan to compete in the UEFA Champions League and reach the knockout stages of the UEFA Europa League. The club also won the last four Kazakh Premier League titles and would be an instant competitor in the Futbolgrad League. FC Kairat are Kazakhstan’s most historical club. Based in the former capital of Alma-Ata (now Almaty) Kairat have been Astana’s biggest challenger in the Kazakh Premier League. Dubbed the nation’s team during the time of the Soviet Union Kairat included the crest of the Kazakh Soviet Socialist Republic in their logo to highlight that they were the club from Kazakhstan. After the capital was moved to Astana Kairat somewhat lost their spot as the nation’s team, but significant investment by the local oil and gas industry has meant that Kairat would have the financial acumen to become a permanent member of any post-Soviet competition. Pakhtakor Tashkent is another traditional club from Central Asia that has somewhat seen its influence diminish after the fall of the Soviet Union. Known as the cotton growers, Pakhtakor were the biggest club in Central Asia during the time of the Soviet Union and were also part of a significant tragedy after an air disaster wiped out the entire first squad in 1979. Since independence Pakhtakor have won the Uzbek League eleven times but were briefly challenged by the emergence of Bunyodkor, which was lavishly funded by the government. These days Lokomotiv Tashkent are their biggest rivals, but Pakhtakor’s history means that they would be admitted to the league over their city rivals. The 16 times champion of Moldova is another club founded after the collapse of the Soviet Union that would make this league. Founded in 1997 by private investors Sheriff has become the symbol of the semi-independent Republic of Transnistria, which is populated by Moldova’s Russian-speaking minority. Beyond being a symbolism for nationalism, Sheriff are also one of the best run clubs in the post-Soviet space with an excellent academy and two football stadiums. Founded in 1920 Dinamo Tbilisi are a founding member of the original Soviet Vysshaya Liga. Similar to how it was the case for Kairat Almaty in Kazakhstan during the time of the Soviet Union Dinamo Tbilisi were the team of the entire Georgian Republic with the Dinamo Arena regularly filled to the rafters. Back in 1979 Dinamo Tbilisi hosted Liverpool in the European Champion Clubs’ Cup there were 110,000 people in attendance to fire on Dinamo. Big attendance figures were not uncommon for the club that became only one of two Soviet teams to win a European trophy when Tbilisi defeated Carl Zeiss Jena in the 1981 European Cup Winners’ Cup. Known as the Uruguayans during the time of the Soviet Union due to the blue colour of the uniforms as well as their beautiful style of football Dinamo won two Soviet Vysshaya Liga trophies. Since the fall of the Soviet, Union Dinamo have won 16 league titles, but the club now plays in front of just a handful of people against the likes of Gori or Batumi and therefore has struggled to keep up with the European elite. Returning to a more international league would certainly lead to the resurrection of this proud club. Qarabag FK made history this year when they became the first club from Azerbaijan to reach the group stage of the UEFA Champions League. An organization in exile Qarabag currently play in Baku as the town of Agdam is located in the Nagorno-Karabakh region, which is now occupied by Armenia. Bound to regional competitions during the time of the Soviet Union Qarabag quickly established itself as the premier Azeri club in the post-Soviet decades winning the Azerbaijan Premier League on five different occasions. What about including some Baltic teams in the league? Skonto, Zalgiris, Spartaks Jurmala perhaps? Too weak to compete? We didn’t think that Baltic football is strong enough at the moment. Also, keep in mind the history of the Baltic States in the Soviet Union, many clubs in the post-Soviet space would have been happy to remain in a post-Soviet international league after the fall of communism. The Baltic teams, however, were not. Rather I think they should create some form of international league among themselves.